A huge increment in the healthcare services and career opportunities has ultimately encouraged the inculcation of highly capable and expert professionals in the healthcare industry outfitted with healthcare education, awareness, training and aptitudes. Aside from these factors, a huge demand of trained nurses and caretakers globally has achieved an esteemed recognition for nursing in lieu of a dignified international career. Having felt this overpowered furor of national and international healthcare sector, Desh Bhagat University has established its University College of Nursing to blossom the top nursing professionals out of the students pursuing ANM - Auxiliary Nurse Midwifery, GNM - General Nursing and Midwifery, Post Basic Nursing, B.Sc. Nursing and M.Sc. Nursing at the university. Desh Bhagat Nursing College has been recognized by the Nursing Council of India and Punjab Nursing Council. Desh Bhagat University Nursing College is vivaciously equipped with versatile aspirations to saturate the students with expertise and professional skills for the holistic care of patients. 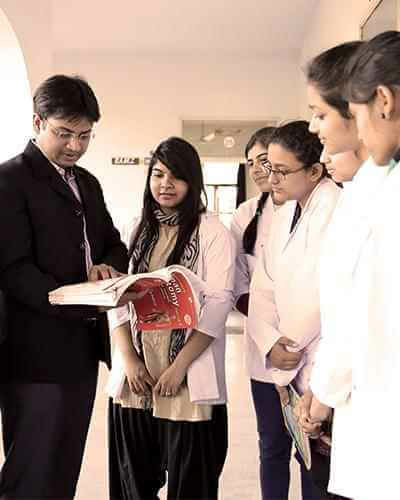 The nursing college has achieved a universal distinction due to its periodically scrutinized pedagogy as per the norms and standards of Nursing Council, commendable academics having national and international exposure of the industry, latest technical amenities and infrastructure and innovative methodologies of curriculum deliverance. The School has its own 150 bedded hospital and fully equipped laboratories to enrich the students with real practical experiences. And also, the University School of Nursing organizes various research seminars, workshops, training sessions, guest lectures and medical camps to impart innovative excellence to the aspirants and to equip them with cherished professional brilliance. Along with these energetic efforts, the ethical capabilities of a trained nurse like sympathy, humanitarian approach, dedication, and holistic approach etc. are given much consideration while ingraining the curriculum brilliance in the students pursuing ANM - Auxiliary Nurse Midwifery, GNM - General Nursing and Midwifery, Post Basic Nursing, B.Sc. Nursing and M.Sc. Nursing at the university.